Have you ever lost an industrial sales opportunity that you were certain was going to close? So have we. It’s inevitable. The industrial sales cycle is a long process that requires sales teams to navigate a maze of moving pieces. Everything from groups of decision makers, to expensive equipment, or long-term service contracts can muddy the waters of a deal. Unfortunately, as the sales process gets more complex, the chances of losing a prospect also increase. In fact, Salesforce reports that only 13% of B2B leads become legitimate sales opportunities – and of that 13%, only 6% convert to deals. That’s a lot of time, money, and effort spent on B2B sales leads that are simply walking away from your business. But what if you could win a few of those B2B sales leads back? While you’ll never be able to win every deal back, we know that winning even one or two deals back would be significant for most industrial businesses. With that in mind, we’ve got a few tips to revive old deals or renew forgotten ones. While complex sales cycles offer plenty of opportunities for a deal to fall through, they are also a big advantage when trying to breathe new life into lost B2B sales leads. In the industrial sectors, long sales cycles provide a chance to make a real connection with prospects. This puts you at an advantage when trying to renew a lost deal since prospects should be familiar with who you are and what you do. However, this is only an advantage if you are organized enough to benefit from it. Keeping the details of a potential sale in one place makes it easy to reference later when trying to bring it back to life. CRM software is quickly becoming the standard to effortlessly manage the details of longer industrial sales cycles. For those who don’t want to jump into the software world just yet, our friends at Pipedrive offer this free spreadsheet template for tracking sales. We recommend adding columns for personal notes as well, to keep track of inside jokes or favorite sports teams, to use as an icebreaker if needed later on. When keeping track of sales details, it is important to understand why a prospect chose not to buy from your business in the first place. The reasons they didn’t buy should be clearly noted so that whoever follows up can address their specific concerns. For example, in the past, a sensor manufacturer might have lost a few big contracts since their sensors did not include a specific feature that many oil-well monitoring companies required. As their product line grows to include sensors with these features, it is worthwhile following up with the deals that fell through for that reason. Even if they aren’t ready to buy right away, they will at least know the option is available once they are in the market again. Contacting an old prospect simply to “touch base” is unlikely to produce any results. By addressing their specific concerns from the past, you put your company back on their radar when they are in the market for a specific product or service again. We’ve all been exposed to remarketing ads, whether we realized it or not. Remarketing ads display across the web to past visitors of a website. They show ads for the specific products or services to people have already looked at. While they have proven to be a great way to keep a business front of mind with prospects during the initial sales cycle, they are also an effective way to renew lost opportunities. Remarketing ads display across the web to past visitors of a website. They show ads for the specific products or services to people have already looked at. While they have proven to be a great way to keep a business front of mind with prospects during the initial sales cycle, they are also an effective way to renew lost opportunities. Consider this example. An industrial hose distributor has a long sales cycle due to an in-depth supply chain analysis from prospects in its target market. Often, this causes leads to temporarily fall out of the sales funnel. Since these prospects browsed the website during the early stages of the sales cycle, remarketing ads can keep the distributor’s hoses top of mind with prospects while they take the time to evaluate their purchase – all without any effort from the sales team. We saved this category for last since there is a hint of shameless self-promotion – but it isn’t any less important than anything discussed above. Automation tools and conversion software (such as ActiveConversion) are becoming increasingly popular in the industrial sectors since they help to identify interested prospects on a company’s website. This is helpful during the initial sales cycle since it gives sales teams information about who is interested and what they are interested in, often with contact information so they are able to reach out and start a conversation. However, these are also useful tools for managing potential returning opportunities. Once a prospect has been identified, the sales team will be notified when they return to the website to investigate further. One of the most challenging parts of circling back on old opportunities is knowing which ones might be worth the time and effort. Automation tools take the guess work out of this process by reporting which prospects are back in the market and browsing the products and services you offer. All you have to do is pick up the phone. Industrial sales are a challenging process. Even the most successful sales departments will inevitably lose B2B sales leads that they thought were ready to close. However, the most efficient sales teams know that many deals are not truly lost, the prospects just aren’t ready. With the right process and tools in place you can begin to recycle deals, improving your close rate – and your bottom line. 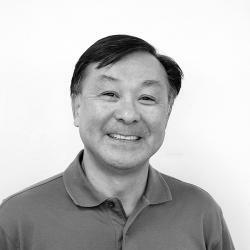 Fred Yee is the founder and CEO of ActiveConversion, a company that makes online marketing work for industrial companies. Fred was voted as one of the 40 Most Inspiring Leaders in Sales Lead Management in 2017, and his work with ActiveConversion has helped hundreds of businesses succeed online. ActiveConversion is Fred’s third successful company, and he continues to explore the possibilities of technology in industrial sales and marketing.